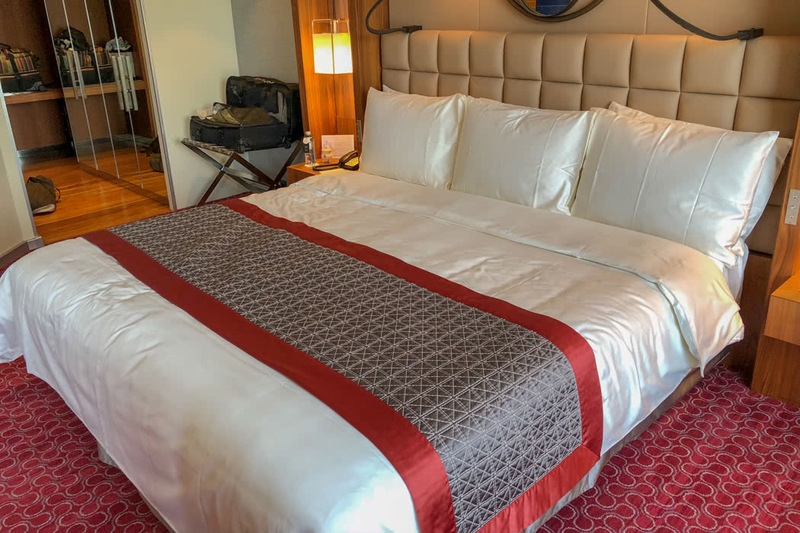 If you are looking for hotel with location, location and location, along with an abundance of wonderful facilities, Kempinski is a brilliant choice in Geneva. 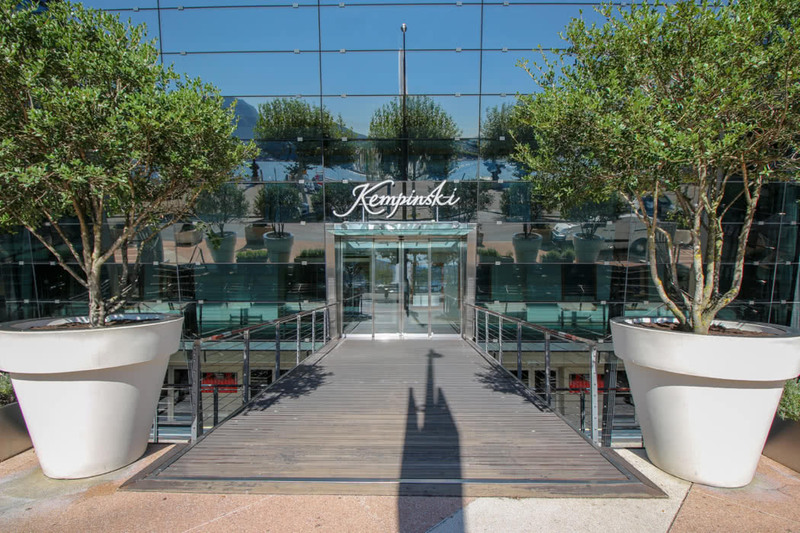 The Kempinski is located on the bank of Lake Geneva, right in front of the Jet d’Eau Fountain, one of the landmarks of Geneva with a with a water jet up to 140 meters high. 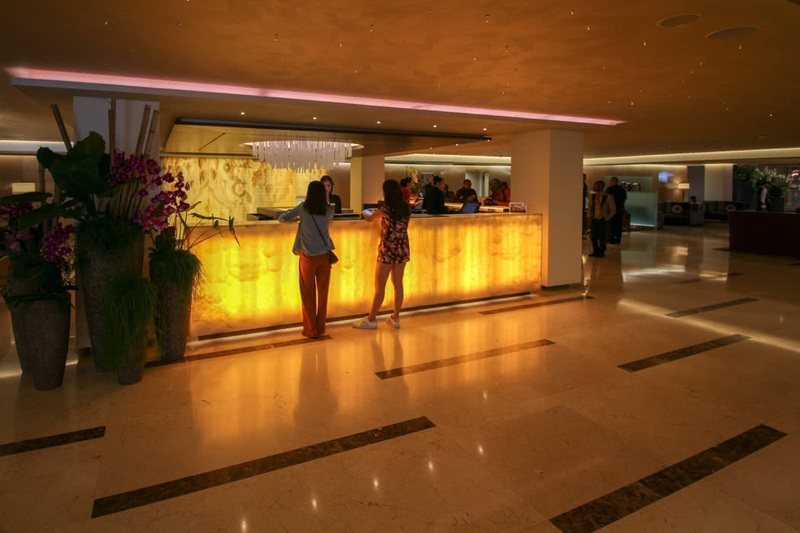 It is a large hotel with around 400 rooms, and as a result, has a massive array of facilities with numerous bars and restaurants along with an urban beach in the centre, which has a large and stylish pool which leads onto an impressive spa. That said, my favourite thing to do at this hotel is simply to sit and watch the lake. From our room, we could sit on the bed and watch the boats chugging up and down and tooting their arrival and watch the people below promenade up and down one of the prettiest stretches of the lakeside in Geneva. Kempinski Geneva is a member of our Lux Hotel Collection which means that when you can book a room via our luxury travel concierge you get brilliant extra benefits at no extra cost. 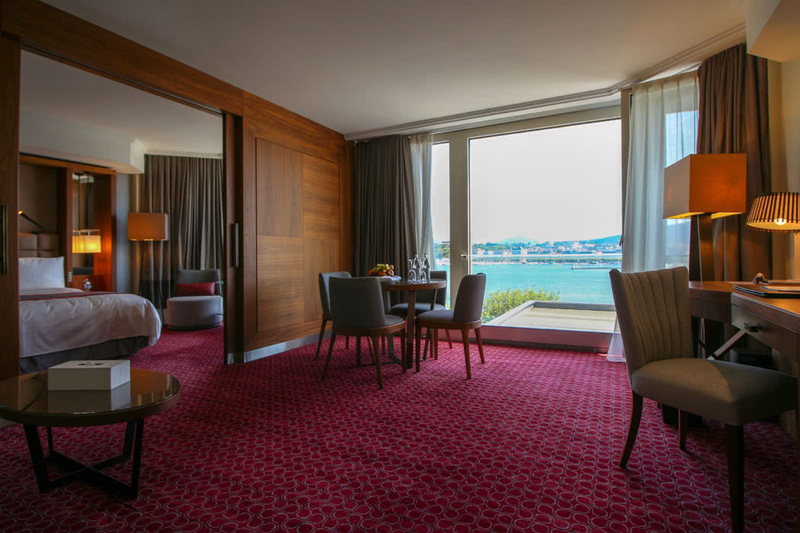 Our exclusive benefits at Kempinski Geneva include a free room upgrade (subject to availability at checkin), free early check-in and free late check-out (subject to availability), a gift on arrival (a bottle of wine or chocolate) plus a 20% on SPA Valmont treatments. As I outlined above, the location of the Kempinski cannot be beaten. It is slap bang in the centre of the waterfront promenade that wraps around Lake Geneva. Lots of iconic hotels are located steps away from the Kempinski including Le Richemond and the Four Seasons Geneva. It is also right in front of the river bus station; a water-based public transport system (the little yellow boat) that takes you to different locations around the lake including to a stop near the base of the Jet d’Eau which is also close to lovely waterside gardens and Geneva Old Town. 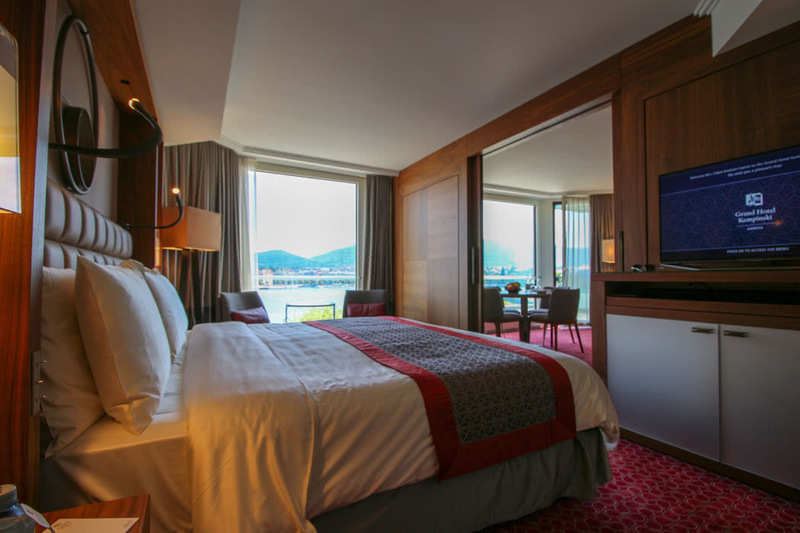 When you stay in the Kempinski or Le Richemond, you get a complimentary set of tickets for all the guests in your room which enables you to use all the public transport in and around Geneva which is a great way to explore this gorgeous city. The Kempinski looks to be the largest hotel on the waterfront. It is triangular in design and I would guess at a 1970’s build with a modern look. 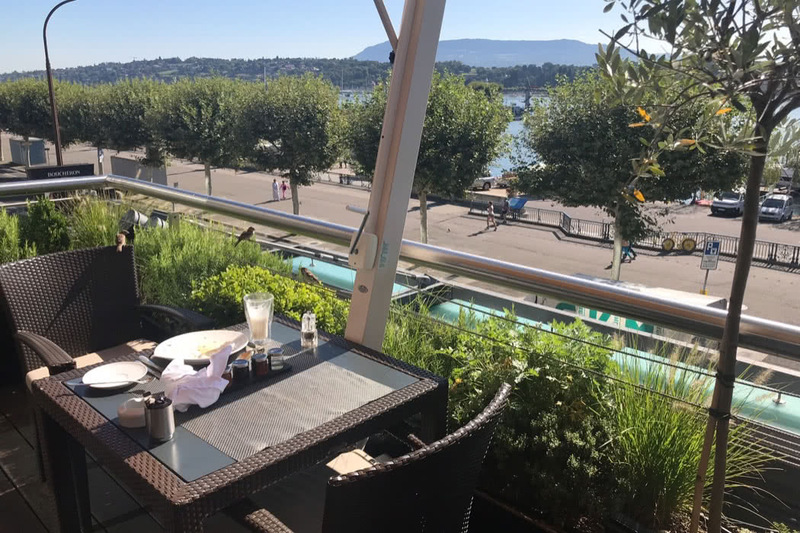 Throughout the building, floor to ceiling glass windows make the most of the views, and the main restaurant, Il Vero, where you can take your breakfast and where we also enjoy incredible Italian food in the evening, has a glorious terrace which looks right out over the Jet d’Eau Fountain. The rest of the hotel is enormous in scale. 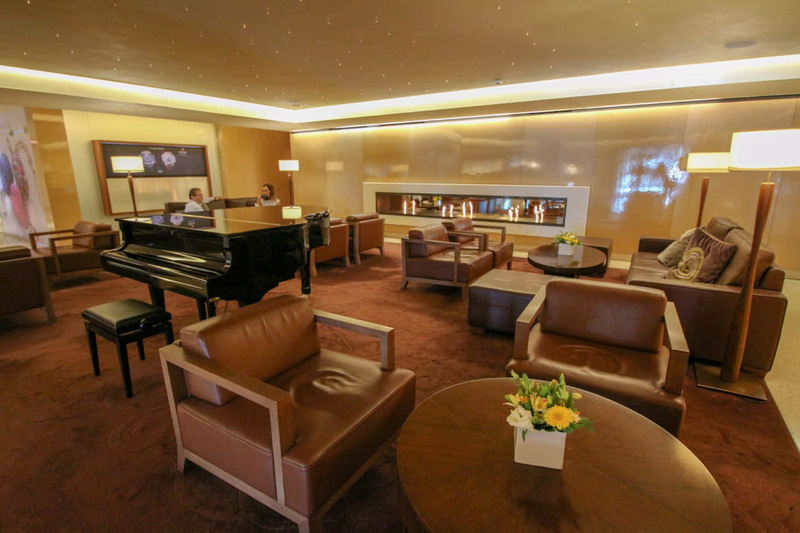 There are lounges and more restaurants, a bar with a terrace and downstairs in the lobby, there are more sitting areas decked in cream marble with fireplaces, along with a large and busy reception area. 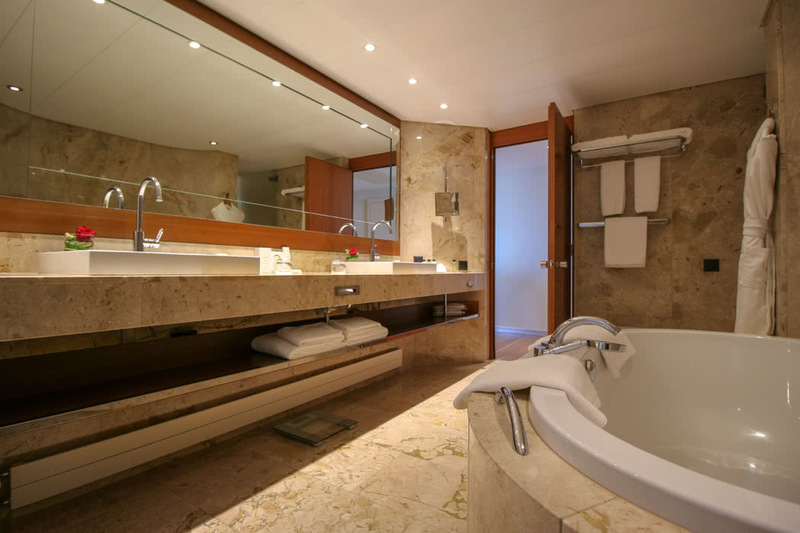 I mentioned above that there is an abundance of facilities in the Kempinski Geneva. Lounges, restaurants, a huge and stylish spa, but the highlight is the Urban Beach. 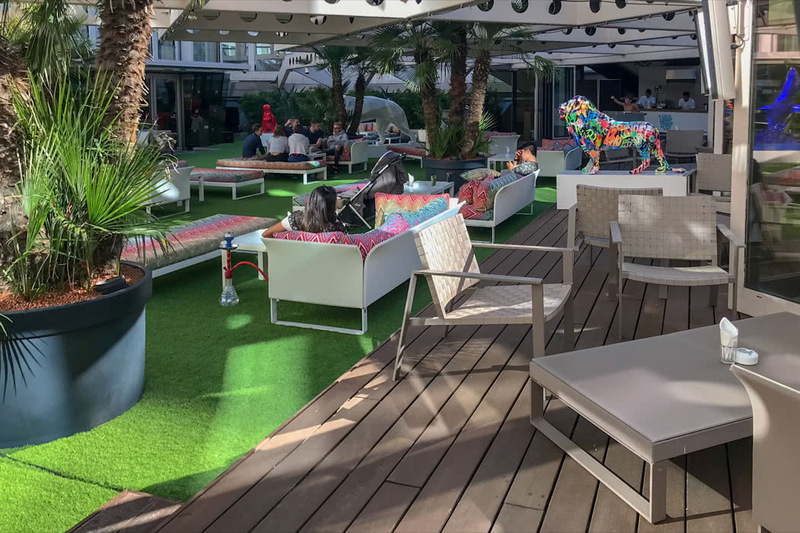 Set in the centre of this triangular shaped building, and sheltered from any wind, the Urban Beach is a patch of green, packed with loungers, sofas, tropical plants and funky music. 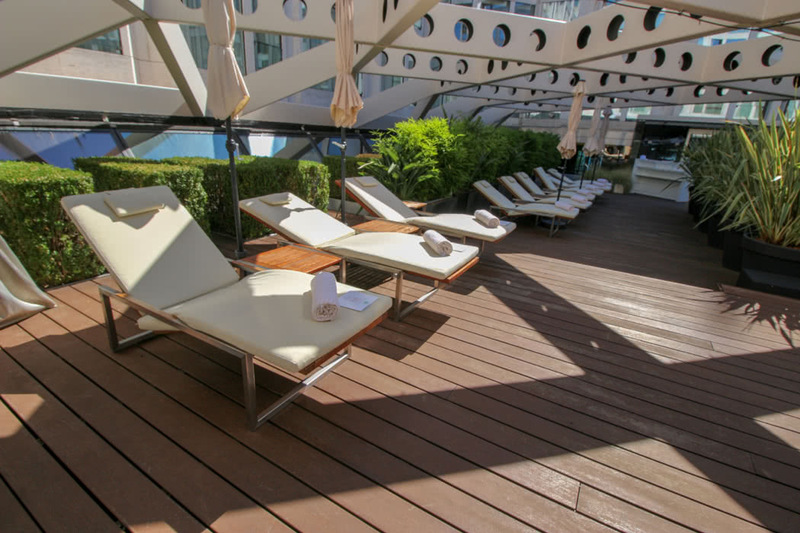 In one corner you will find a bar which serves any drink you want, and to the side, under a glass roof there is a modern and beautiful pool with day beds, seats and more loungers around it. The pool was the perfect temperature when we tried it and not at all busy. I was amazed, considering the size of the hotel, that more people weren’t taking advantage of the Urban Beach hidden in the heart of this Kempinski. There were a few people enjoying the sunshine from their loungers and the funky tubes being played by the live DJ, but we had the pool virtually to ourselves on a number of occasions, even though it was the summer holidays. The pool itself was beautifully maintained with exposed stonework on the walls, a glass ceiling and walls and lots of natural wood loungers and beds. Massive vases were dotted about and a big Hublot clock told the time on the wall. Even the poolside towels were stylish; they were cream with a snazzy gold patterning. It was a great place to enjoy the weather and take a dip for an afternoon. Notably, the pool stayed open till late, 12 midnight I believe, so you could make use of it even if you were in Geneva on business. Our room was a suite at the front of the building. If you can, request a room at the front of the building as the view really was incredible. Waking up in the morning to the vista of lake Geneva with the fountain right in front of you really can’t be beaten! The room itself was modern with red carpet and everything felt immaculate. 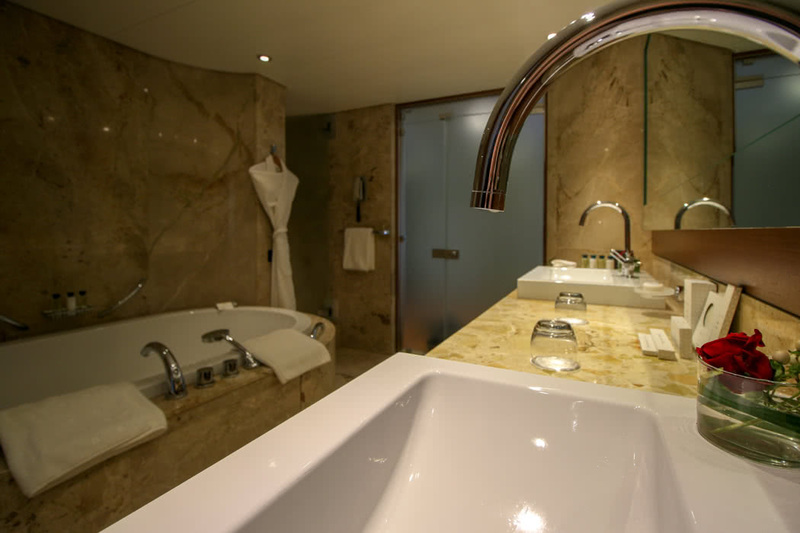 There were plenty of nicely scented toiletries and the bathroom was massive with a huge bath in the centre and cream marble floors and surfaces. We ate in the Il Vero restaurant during our stay. 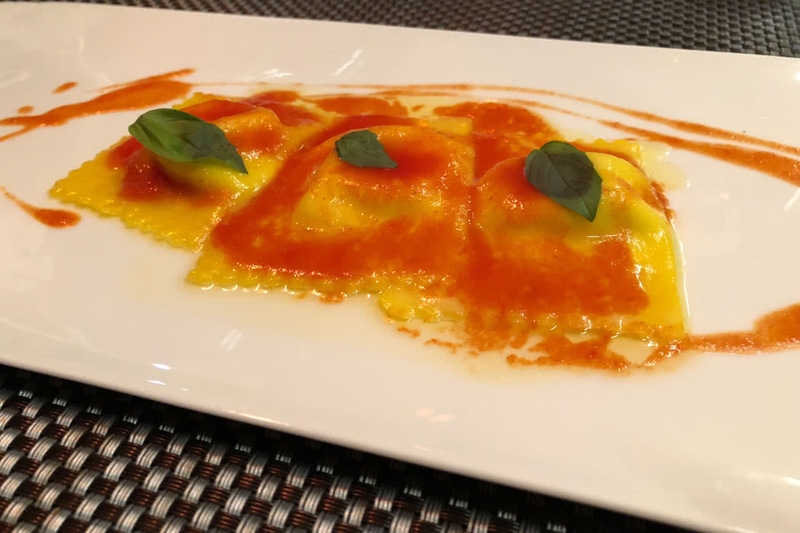 The chef here was really good and his pasta, in particular, was magnificent. The ingredients were all very fresh and portions were generous. I went for a salad and red mullet, my husband went for a calamari dish and all were hugely generous and utterly tasty. The highlight for me though, even when surrounded by delicious food, was the view from the terrace of the restaurant. 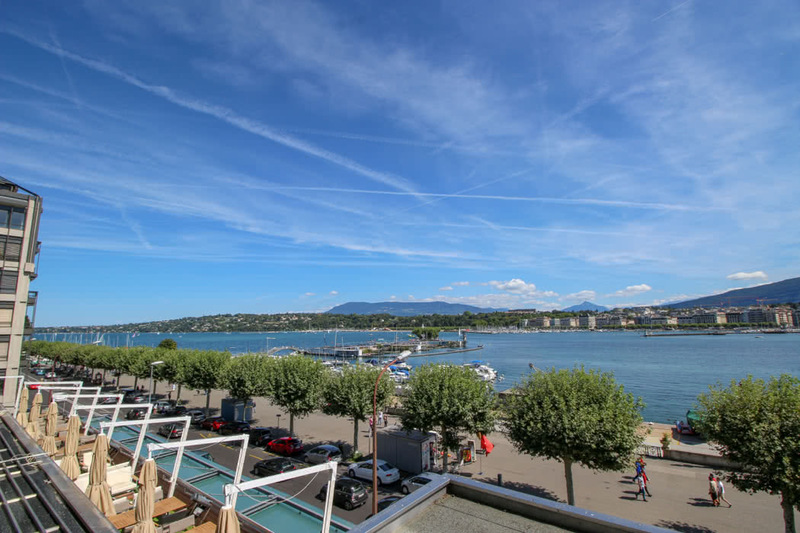 If the weather is good, this is such a great terrace as it looks right out onto the Jet d’Eau Fountain. You can’t beat watching the moon travel across the sky behind the majestic fountain, while stuffing yourself with delicious food! We also had breakfast in Il Vero. The spread was huge, with everything you could possibly wish for. Because it was such a large hotel with so many guests, the ambience felt more hectic than that of the evening before, nonetheless you could not argue with the sheer volume on offer from freshly prepared eggs, delicious smoothies, every fruit under the sun, meats, smoked salmon and cheeses to Bircher Musli, other cereals and baskets of bread. If I were to describe the Kempinski in one word, it would be “grand”. The hotel has every facility under the sun and a brilliant location, but the absolute highlight for my son and I was the Urban beach with it’s incredible and stylish pool. 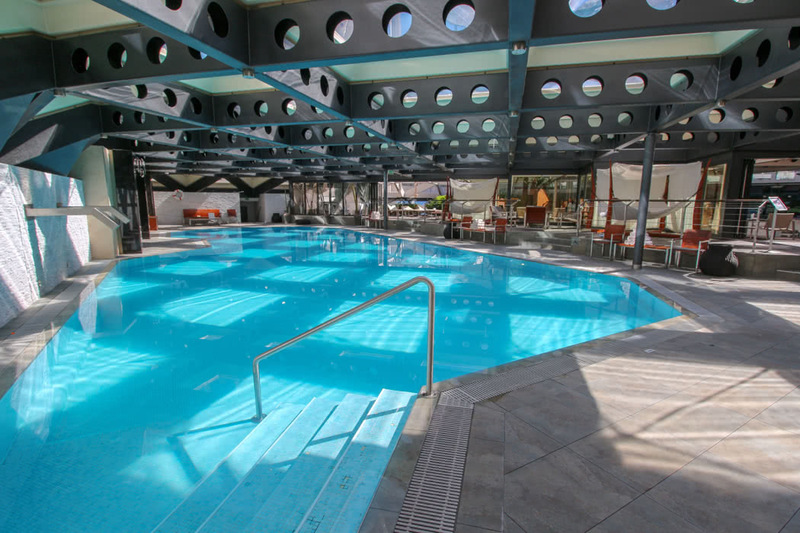 For us, this would be a major reason to return to the Kempinski Geneva and it is without a doubt, one of the best pools in the city of Geneva.